As an IT professional you may think that you are already familiar with everything that is Laserfiche. After all, you’re the one who installs, maintains and supports the system. 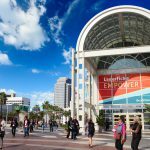 Yet attending Empower can give you an entirely different point of view on your organization’s Laserfiche implementation. 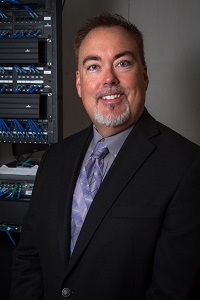 Pete Otholt, IT Administrator at Methodist Healthcare Ministries, shares how attending the Empower Conference inspired him to optimize his organization’s business processes. What was most memorable about Empower? What I found the most memorable about Empower was the introduction and overview of Laserfiche Forms. The ability to easily create forms and then deploy them within the organization is huge. Tie the forms into Laserfiche Workflow and the impact to an organization is significant. Was there a key takeaway you learned at Empower that you were able to implement? How did it impact your job or organization? At Empower I was able to get a refresher on searching within Laserfiche. I had recently moved to a new job role and so had not used Laserfiche in a while. It was good to be able to take that knowledge back to my users. What was your favorite class and why? My favorite class was “Introduction to Laserfiche Forms” because the potential impact and use of Forms is so significant for our organization. For example, we process around 100 mileage reports from our remote locations each month. These reports are mailed in and processed by hand. If we can create an electronic form, publish it to our intranet and then route the submitted forms to the appropriate individuals for review via Laserfiche Workflow the benefits will be HUGE. If you were talking to someone in your role at another organization, what piece of advice would you give them for taking advantage of the conference? Try and spend some time with your VAR — they are a great resource and you need a good working relationship. Also try and take advantage of being able to meet the developers in the Info Center. In the past, this has helped us to work through a tough problem. Sit down with the developer directly, remote into your system and fix the problem in real time. The Info Center is a very valuable resource!